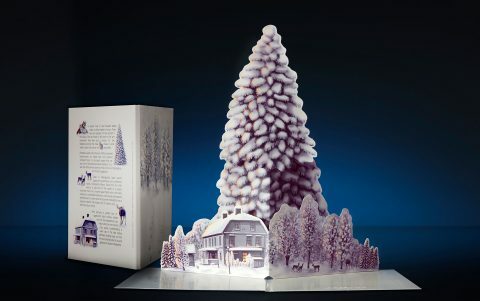 We live in a time of transition, in which we move from printed formats to digital media and back again, and we use digital tools to create physical objects. More young designers today are specializing in digital design work, yet it’s also critical that they understand the importance of how to select and specify the highest quality papers for printed projects. Unfortunately, many formal academic design programs do not include Paper 101 as part of the curriculum, so there’s a gap of knowledge when it comes to paper specification. As makers, designers and creators, we know that the fine line between good and great lies in the details – the choices, edits, refinements and materials that make a work our own. That’s an important lesson for student designers to learn. 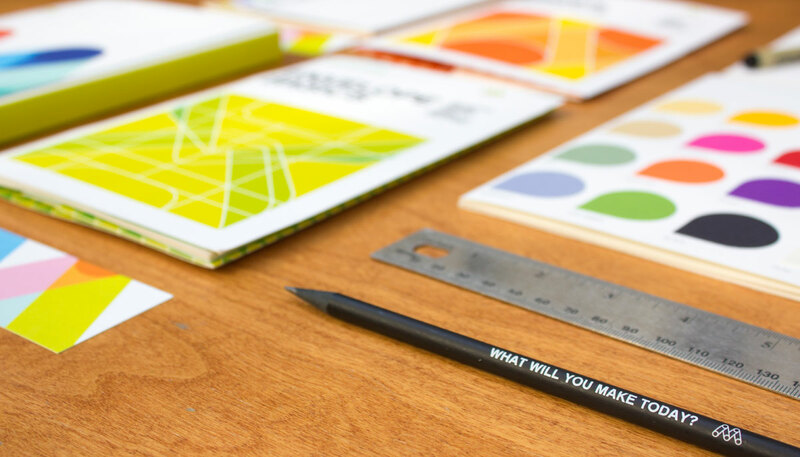 Over the years, we’ve heard design educators share their frustrations that there are just not enough classroom hours or resources available to provide students a thorough education around paper choices. “I simply could not find design curriculum resources that included information about specifying paper,” says educator and designer Jennifer Wilkerson of Aurora Design. “But at the same time I watched my students’ eyes light up every time I brought in printed samples. They desperately want to know how they can produce something that is beautiful, tactile and expressive—and they know that paper choices are critically important. BUT they are just learning the basics of what offset printing is, what digital printing is, and how to set up files for printing. Paper and paper specification always seems just out of reach. Students also need to understand the unique responsibility that comes with specifying paper. 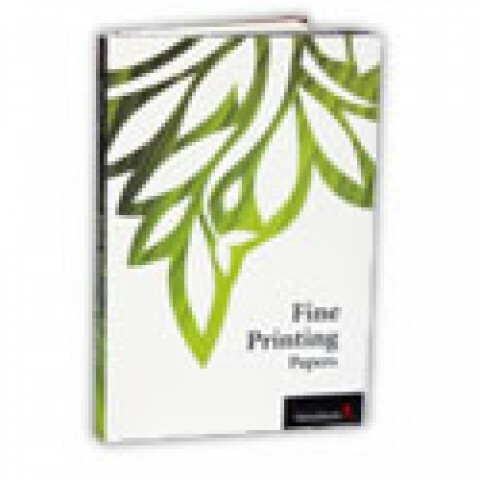 “The funny thing is that the print production books I reviewed all have sample printer specifications—and talk about writing up specifications to get quotes—but they never explained how to arrive at those specifications. So students need to be taught how to select the right paper for their job,” says Wilkerson. 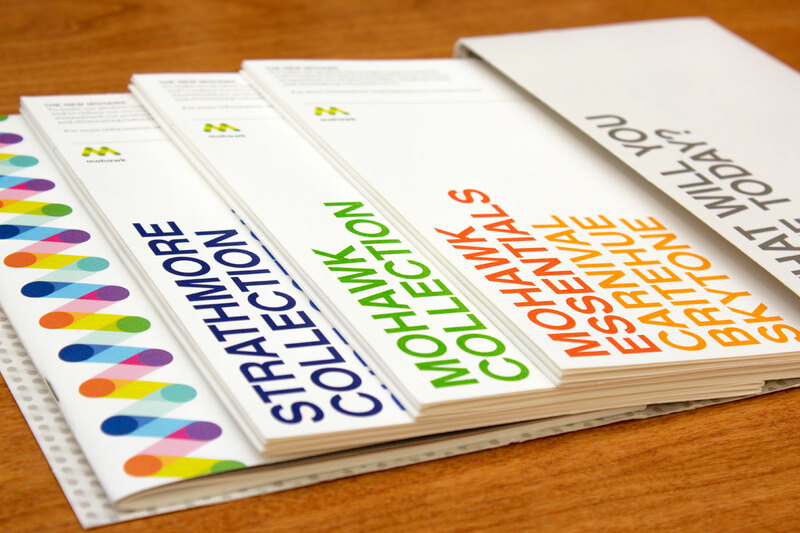 As a fourth generation, family-owned fine paper manufacturer, Mohawk feels a responsibility to educate design students and young designers about fine paper and the paper specification process. 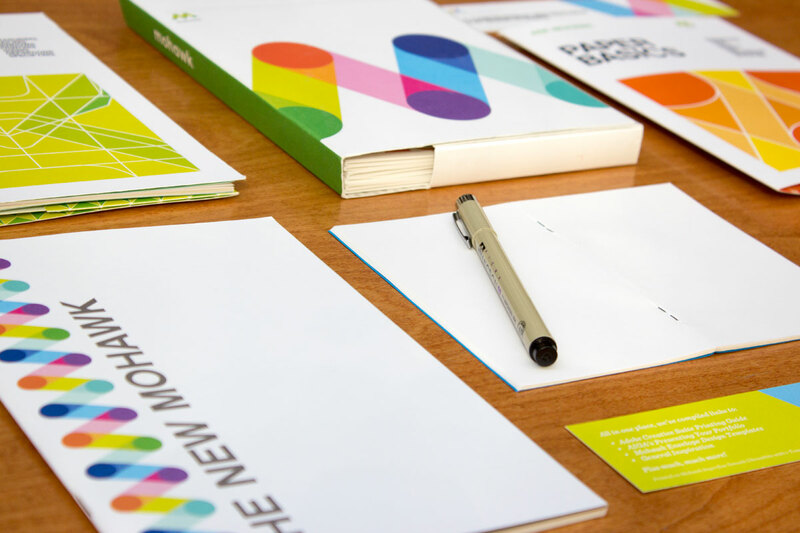 To that end, Mohawk is unveiling a new educational resource package that includes informative and inspirational content guaranteed to expand a young designer’s comprehension of the creative paper choices available to them. Paper is where design leaps off the screen into your hands. 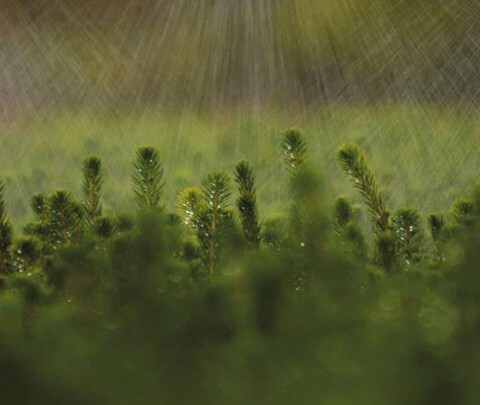 The recently refreshed Mohawk Paper Basics booklet covers papermaking, types, traits, weights, sizes, swatchbooks and definitions, and demystifies the paper specification process. 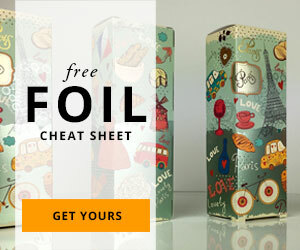 When it comes to stationery, envelopes tend to be modest, unpretentious creatures of design. The envelope quietly yet effectively performs its task as mode of delivery – but from a design standpoint it can often be overlooked and underutilized. 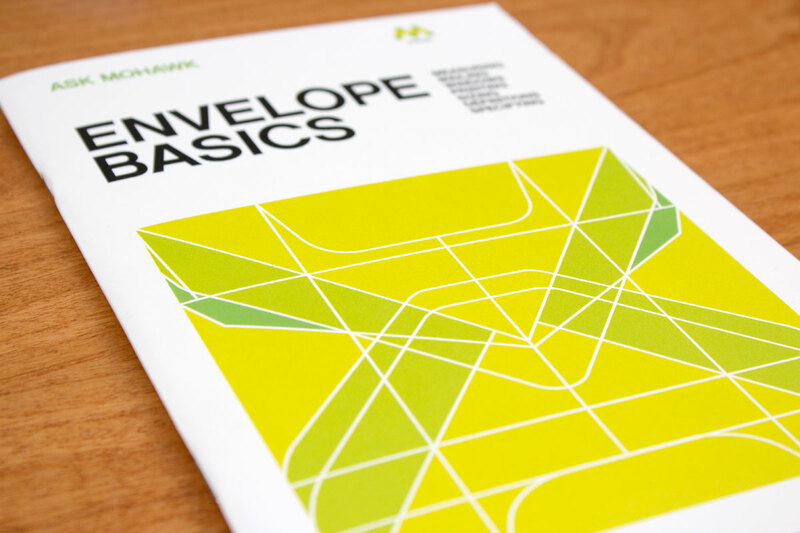 The Mohawk Envelope Basics booklet provides a primer – including information about envelope measuring, mailing, windows, printing, sizing, definitions and specifying to help designers make the most of their envelopes. Master Chip Charts provide an excellent reference when talking about the range of paper finishes available in the market today. We would like designers to know about the myriad substrate options available – whether they are looking for a super smooth digital sheet for variable data direct mail, Strathmore 25% cotton stationery for an identity system, or a very tactile Mahogany felt cover stock for luxury packaging. Handy little bookmarks (not of the digital variety, but real ones, made of paper!) 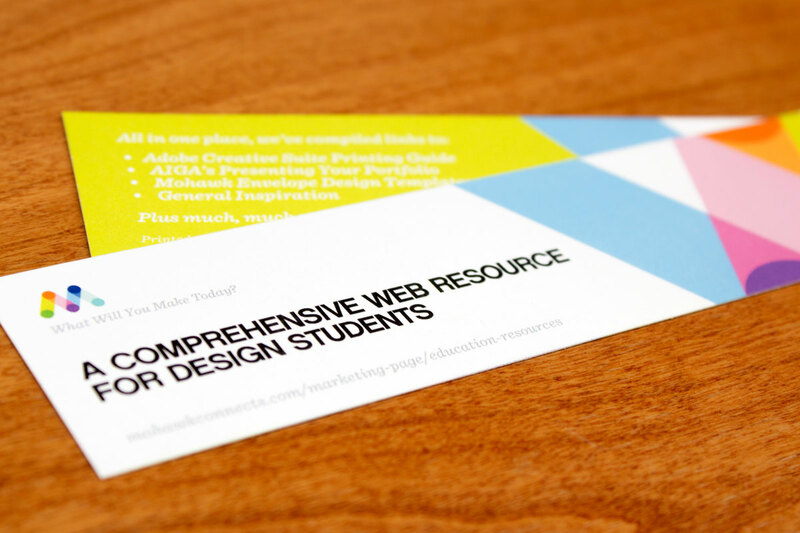 featuring a URL for our Links & Resources page chock full of design, typography and print tips, marketing and portfolio advice, career/job search/networking links and general design/branding inspiration. Ever forget the dimensions of an A6 envelope or have an envelope in hand and don’t know what size it is? 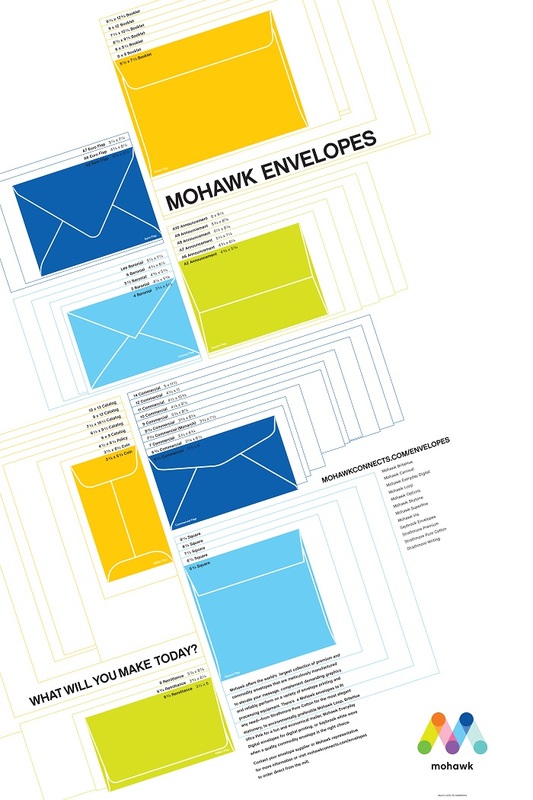 Well now you can refer to Mohawk’s accurate and beautiful envelope size chart for the answer. Just hold the envelope up to the actual-size outlines and read the adjacent description and measurements. It’s a convenient reference chart that includes dimensions for many standard envelopes —commercials, catalogs, policy, coin, announcements, booklets, squares and remittance. Plus, popular flap styles are depicted on each of the brightly colored diagrams. 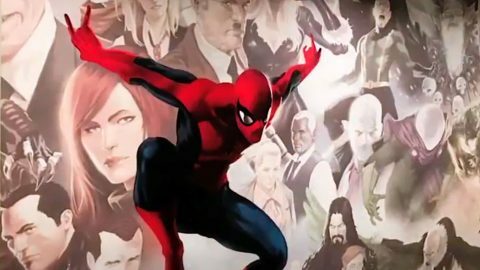 Additional resources are being added, including inspirational and informational videos, new product samples, swatchbooks and more. To request your own Educational Resource Package from Mohawk, visit mohawkconnects.com/educators. 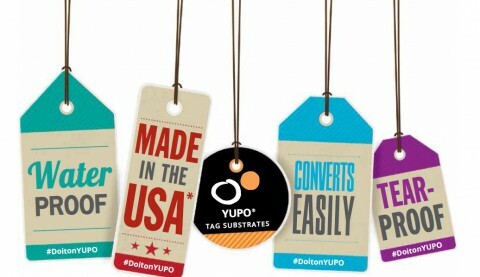 YUPOBlue Digital Paper is Ready to go When you are!